One of my match from a recent local tourney. It's my first tourney too. So as you can see, nerves got the better of me. I wasn't punishing properly, wrong button inputs, doing random moves and lack of setups. I tried doing d/f+2, but d+2 came out. f,f+1+2, but f+1+2 came out. And stuffs like jumping happened when I tried to sidestep. Really terrible. I hope you all can give me some tips on how to face Jack-5 using Yoshi. Heya, and welcome to the forum! Upon watching the match, there's only one (good?) advice I'm able to give: patience. Pace yourself. Try to get a little distance and when he expects it the least - WHAM! "Say, is this gear from your head or mine?" Another thing would be to study how far each movement reaches. I spotted quite many movements that would've been devastating to the oppontent, had he been a step or two nearer. Overall, I'd say you put up a good match. I really can't give you any character-specific moves, because I use Bryan a lot more than Yoshimitsu. 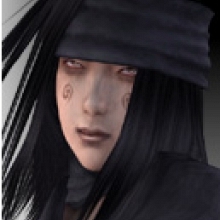 Maybe Tenshimitsu or someone could give you more detailed review. Oh, and - you should read Tenshi's Yoshimitsu FAQ. It's like a Bible to all Yoshimitsu players in the net. Firstly, you should learn the juggles that work against Jack-5, they vary when you're using FC d/f+3 and FC d/f+1. There's also wall splats that are actually stronger but only work with big characters like Jack-5. Secondly, Jack-5 is huge. Abuse moves that huge characters hate, like qcf+1. Frame trap into it, "punish" a whiff using it, or just use it randomly. Jack-5's d/f+2 can be punished easily and consistently by 4,4 which will chip down a Jack-5's health pretty fast. Most of jack-5's lows can be blocked on reaction except d/b+1, and pretty much the rest is standard. Lastly, just practice. 1000 matches are good for the soul! EDIT: I didn't watch the match yet, connection is too slow, I'll update this post once I watch it! Never used QCF+1 against bigs... gonna go for it. It's not wrong to try u/f+3 whenever you're unaware of the properties in blocking certain moves, but this can be used against you, so you should avoid ALWAYS trying to crush your opponent's attacks. Yoshi has a few spacing tools, d/f+2, d/f+4 and you could say f+3+4. Use them not only to keep Jack-5 from annoying you too much with random low/mid moves, but to catch him in case you SS/backdash out of his moves. F,f+4 is particularly good for punishing whiffs, specially ones with small windows of opportunity to punish. Qcf+1 is useful whenever you hit the "sweet spot", where it's really hard to interrupt yoshimitsu and the Qcf+1 hits twice for a load of damage. This "sweet spot" is a lot easier to get with big characters, and because of this you can even get away with using this move randomly, even with experienced players. Know when to block/turtle. Blocking in tekken 5 is one of the best tools which all characters can use. As opposed to crushing, when blocking something the worse thing that could happen is: you blocked incorrectly. When trying to crush your opponent you could either get hit by a very nasty CH that launches/crumple stuns you and end up losing most of your life. If you can't block something on reaction, use risk/reward to assess your situation. when you're at 5% life, there's little reason for Jack-5 not to finish you off which a d/b+2, a move which you normally can't react to. 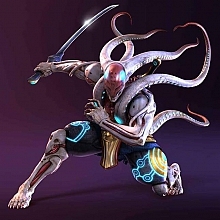 Elaborating on turtling, Yoshimitsu doesn't have to be the one looking for an opening always: the opponent can give you the opening himself. Try using meditation here and there, even the other stances like DGF, FLE and IND to make him guess. These moves don't really put you in a bad situation (the worse being IND, and the baiting with this move is pretty powerful), and usually there's more reward than risk involved using these moves.